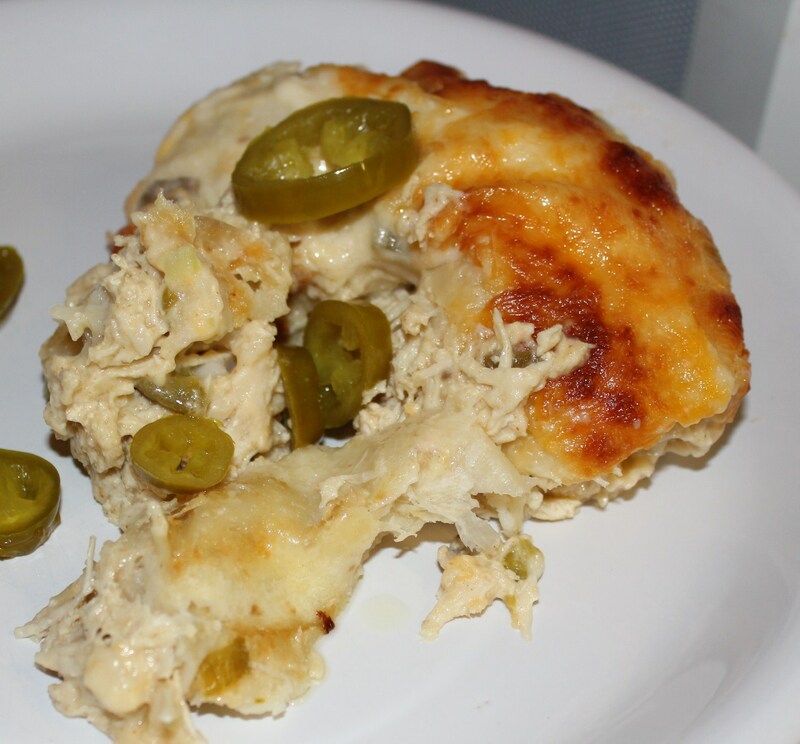 For several years I have only been able to stay a couple of days, and last year I had the pleasure of trying some of Joyce’s most excellent leftover chicken enchiladas for lunch. 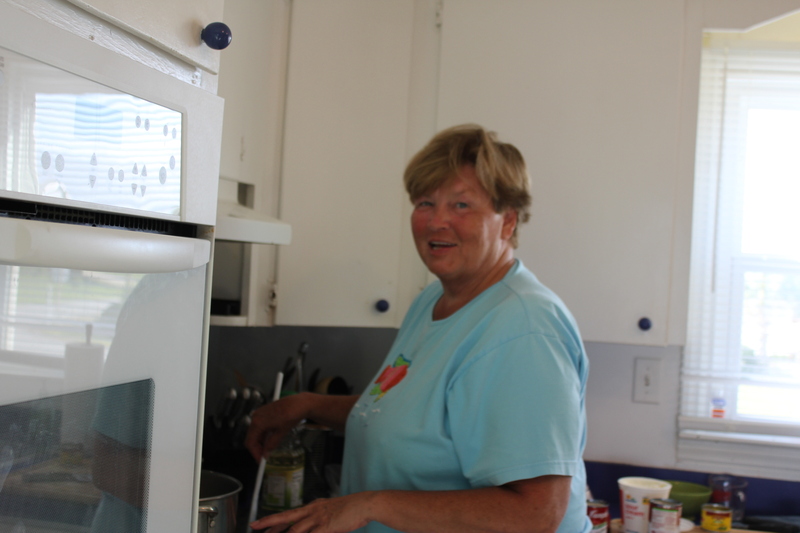 When I heard she was making them again this year, I asked if she’d be willing for me to post her recipe, complete with photos. Lucky for all of us, she said yes. 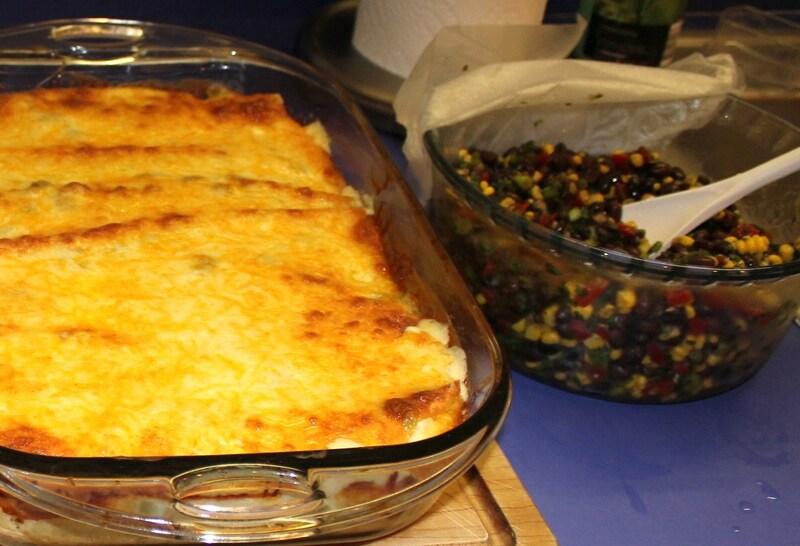 These enchiladas are fantastic – wonderfully spiced with tons of cheese. And perfect for leftovers the next day! 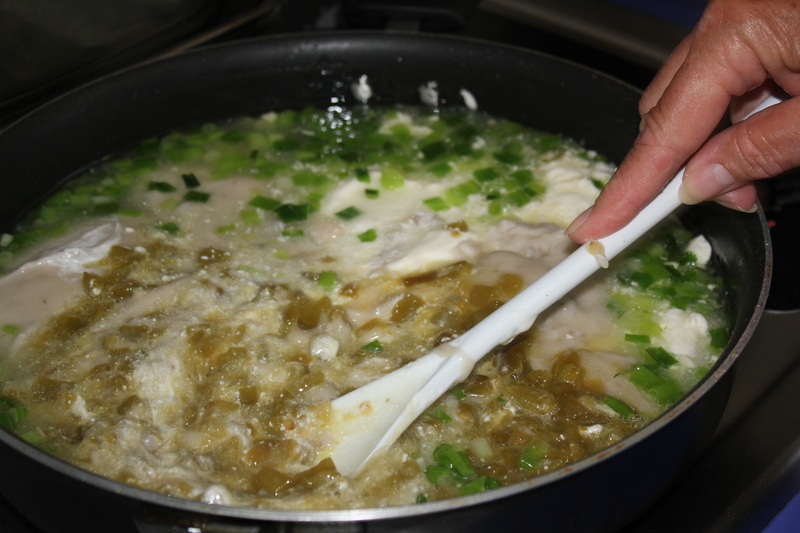 Boil the chicken in salted water until it is tender and the juices run clear. Remove it from pot and let cool. Save 1 cup of the broth. 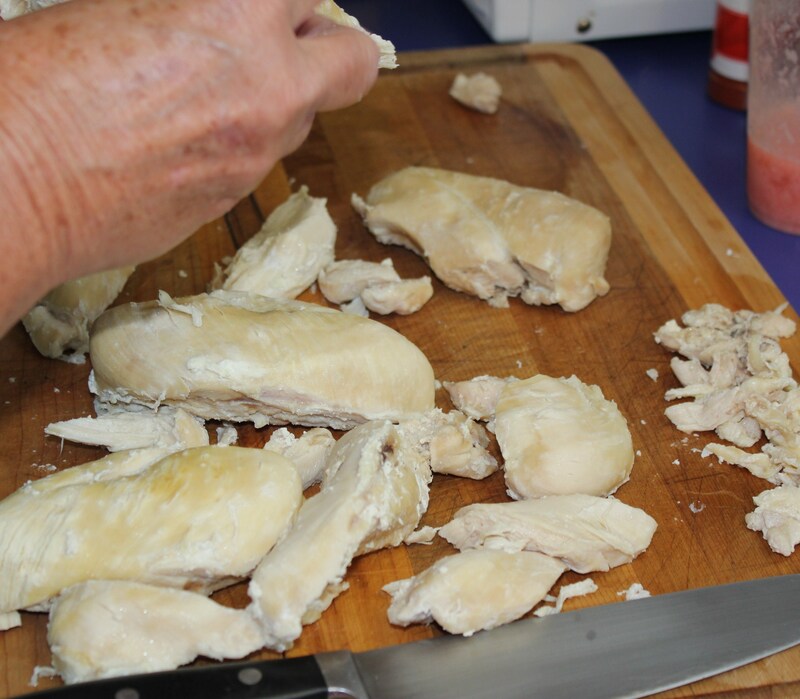 Allow chicken to cool some for safe handling, keeping in mind that if it cools too long it will be more difficult to shred. 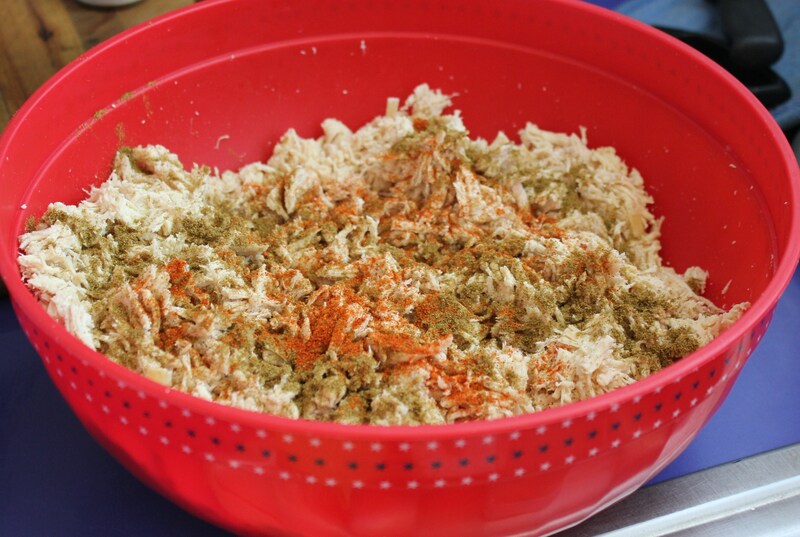 Cut chicken at 1-inch increments across grain and then shred. Add the cumin and cayenne and mix well. This can be made ahead and refrigerated. Sauté the green onions in olive oil for 2 to 4 minutes. Add the soup, sour cream, chicken broth, chilies and garlic powder. 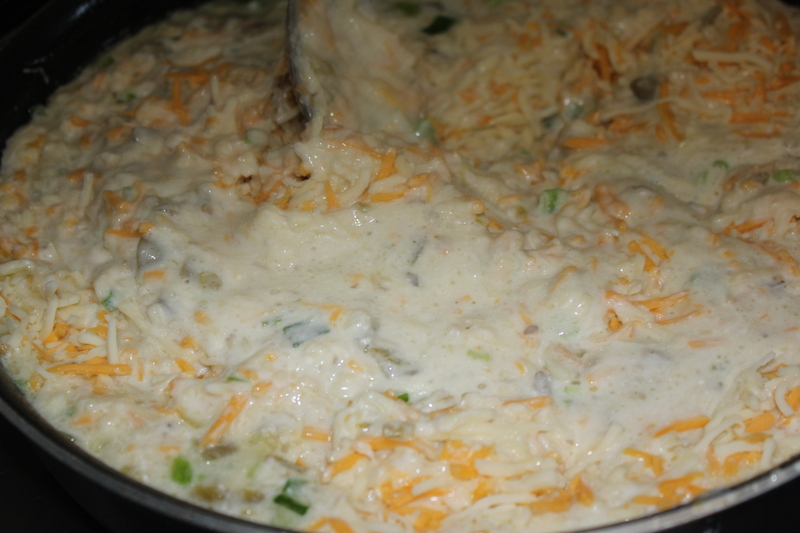 Add 3 cups of the cheese and stir until it melts. Do not boil. 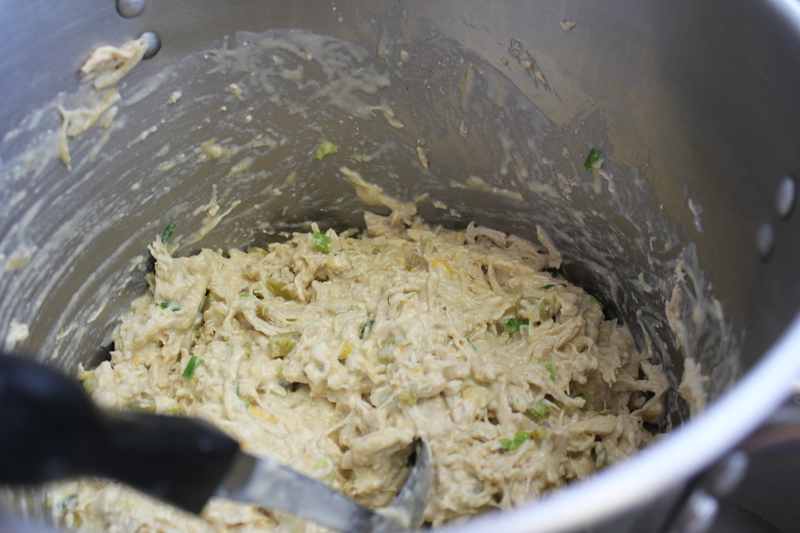 Pour ¾ of the cheese sauce into the chicken mixture and blend well. 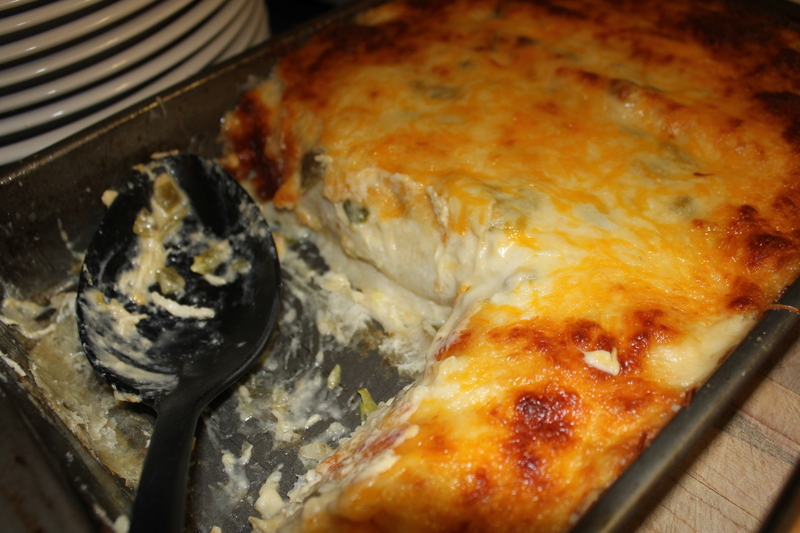 Spread a scant amount of the cheese sauce on the bottom of a 10”x14”casserole dishes, saving most of it to top the enchiladas. 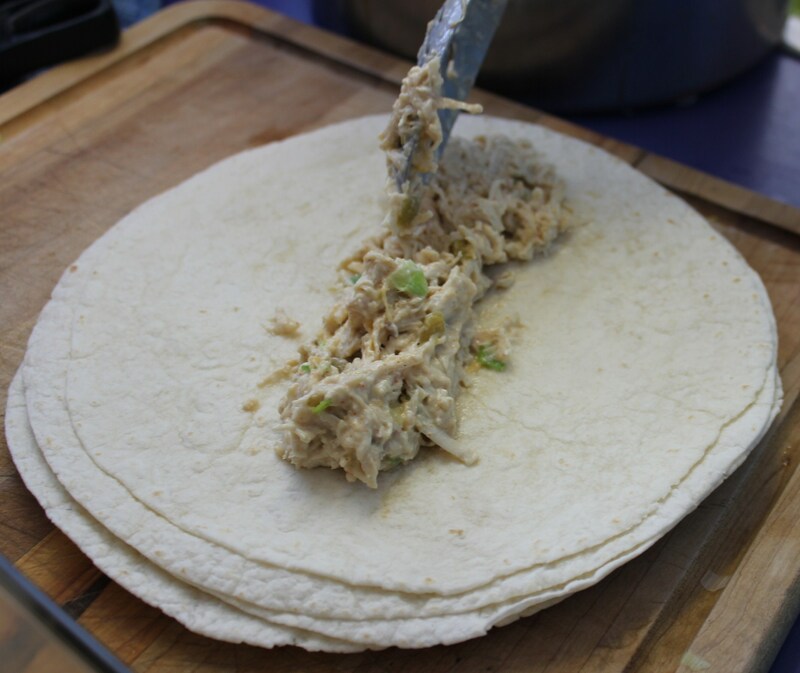 Warm the tortillas according to the package, fill them with the chicken mixture and roll up. 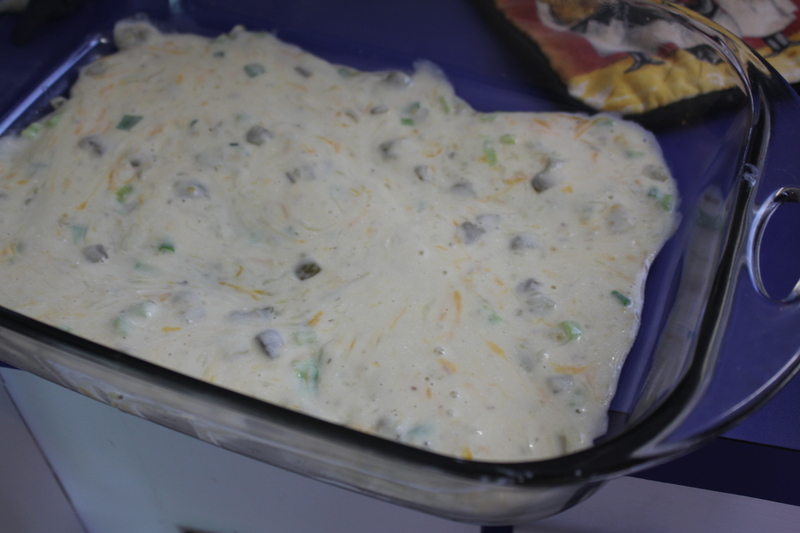 Place on top of the cheese mixture. 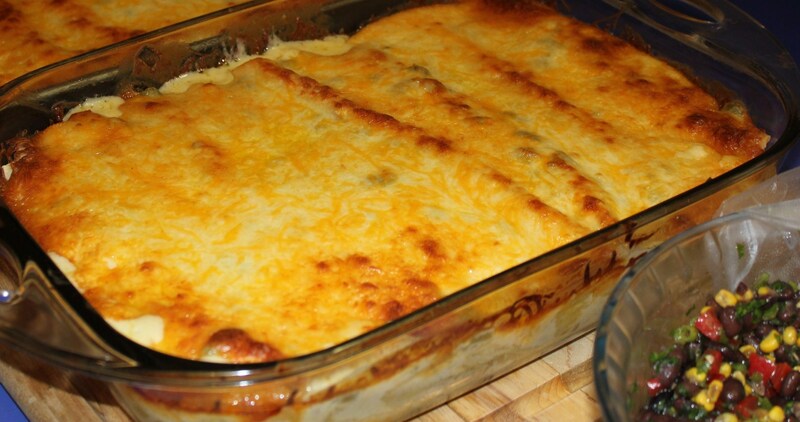 Cover the enchiladas with the remaining cheese sauce and sprinkle with the remaining cup of Mexican cheese. 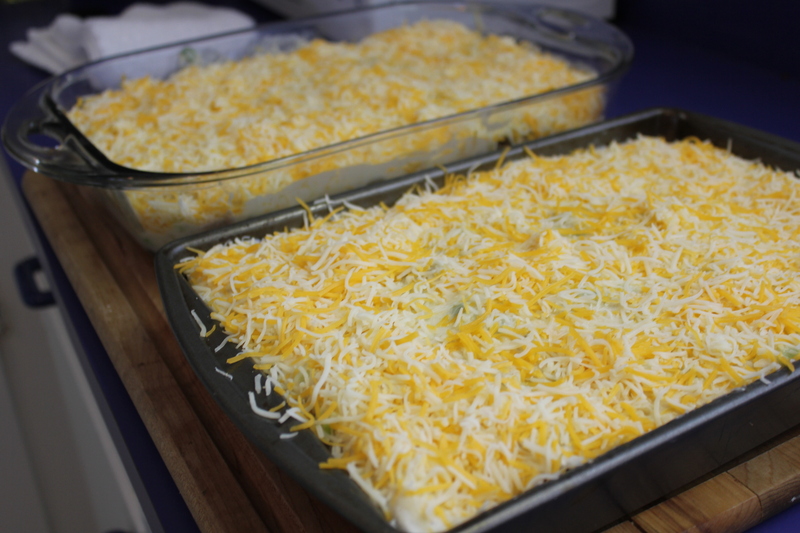 Bake for 30 to 40 minutes or until the cheese is lightly browned. Let sit for 5-10 minutes before serving. 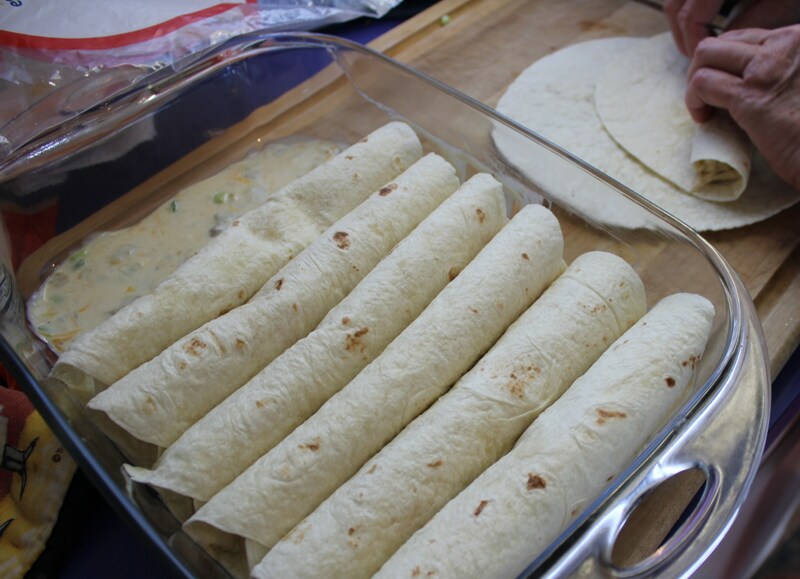 These are great with some picante sauce, jalapeños and sour cream on the side. These go great with guacamole and chips or a black bean salsa.